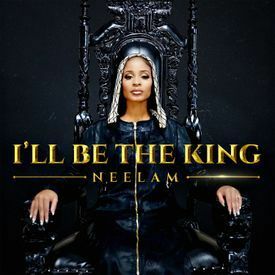 Rapper Neelam Hakeem is Changing the Game and the women are all for it! Championed by Diddy and Will Smith, Neelam Hakeem is breaking onto the scene with her piercing rap and modest hijab style. (Vogue) The diminutive Hakeem, whose face has the full and regal features of an African queen, is speaking from her home in Los Angeles, where she lives with her husband, Marquis Henri, their two young children, and her mother. At first glance, the 31-year-old, with her Instagram following of 300 000, may give the impression of being just another modest influencer, posing in brands like Dulce by Safiya, Culture Hijab, and Hayah Collection. Then you play one of her videos, and she starts rapping about everything from political and social injustices to women’s rights. In a matter of months, her lyrics, rapped to songs by Jaden Smith and Kanye West, have made impressive rounds on social media. Diddy, Will Smith, The Shade Room, and Erykah Badu have all regrammed her songs. Their combined followings have broadcast Hakeem’s lines and modest style to some 47.7 million followers. With her international visibility on such steep ascent, how does Hakeem stay grounded? “I have a mission,” she says, with distinct determination. “And my mission is more important than my ego.” Hakeem was born in 1986 in Seattle, Washington. She describes her childhood as normal, peppered with outdoor adventures alongside her two sisters. When she was 15, her parents divorced, and the world as she knew it shifted.